Tensions between Speaker Nancy Pelosi (D-CA) and President Donald Trump continue to rise. We're going on a month-long government shutdown over Trump's proposed border wall. We've seen a lot of back-and-forth between the two. 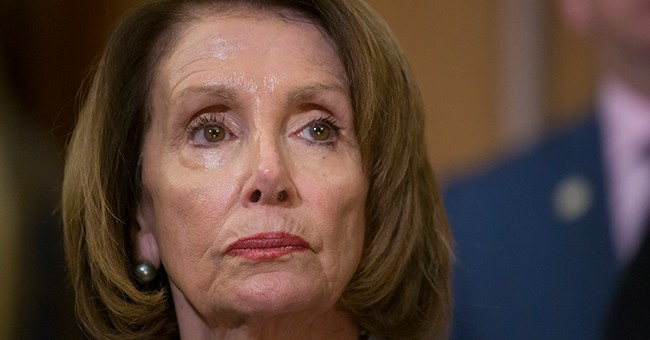 But one thing Pelosi is not happy about? Trump grounding her Congressional Delegation's overseas trip a few days ago. Here's the thing though: she did it to herself when she sent a letter to Trump suggesting the State of the Union be postponed until the government shutdown ends. Pelosi's spokesman came out and said President Trump endangered the Congressional Delegation by revealing details of the trip in his letter. The White House is fighting back against that claim.